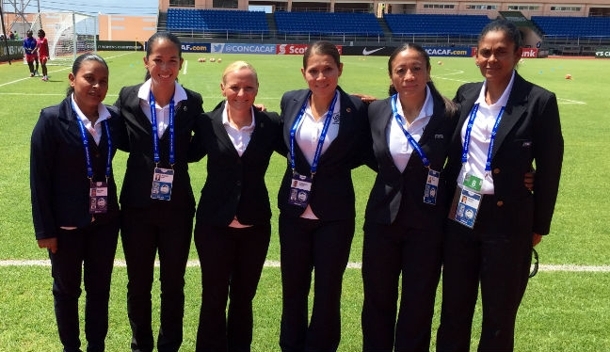 Karen Abt and Deleana Quan have returned home from Granada, where they enjoyed a successful CONCACAF U17 Championships – their first tournament as FIFA officials. In the pool stages, referee Abt received the whistle for one game and was also assigned as fourth official once, while AR Quan was assigned to three games. The pair were also in action for the third place match between Haiti and Canada – Abt with the whistle and Quan as AR2 – which was a rematch of the U15 CONCACAF Championship Final Abt refereed in 2015. Two PRO representatives were also in attendance off the field at the event, with Kim Oberle assessing on behalf of CONCACAF and Kari Seitz acting as a CONCACAF instructor. Abt told proreferees.com: “The tournament went very well. You don’t really know where you stand when you attend your first CONCACAF event on the panel, so it’s a steep learning curve, both on and off the field. “We were pleasantly surprised to find out that we were being retained for knockout rounds. Being assigned the whistle for the third place match was exciting and unexpected, and I was happy to be working with Deleana. “When you attend these events, you are often working with people for the first time, so it was nice to have familiarity and confidence in a teammate from home. “We knew going into the match that only the top three teams proceeded to the Women’s World Cup in Jordan this fall, so the stakes for the teams were high, as only the winner of our match proceeded. “This match was also fun for me because it was a rematch of the U15 CONCACAF Final I had. Many of the players were the same, but it was amazing to see their growth in skill level and tactics. Quan told proreferees.com: “The tournament went very well, and I was pleased to be retained for the knockout rounds. The two weeks were a whirlwind of games, fitness and practical training, and classroom instruction – as this was my first international tournament, there was a lot to learn! “It was great to be assigned to the third place match between Haiti and Canada and to work with Karen again. There was a lot at stake for both teams too, as the winner would advance to the U17 Women’s World Cup in Jordan. “The two teams had already played each other during the group phase, and had actually played in the final of the CONCACAF U15 Championships two years ago, so we knew it would be an exciting and eventful match. 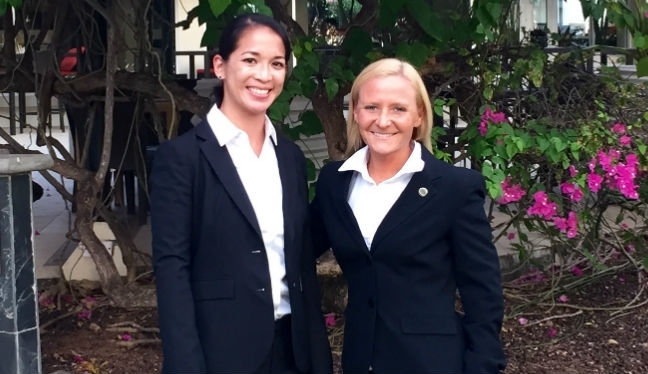 PRO’s Women’s Referee Manager Sandra Serafini told proreferees.com: “PRO is very proud of Karen and Deleana, particularly given the extra pressures of their first CONCACAF tournament as new FIFAs.